Eurocity is a best housing society of district Gujrat. It provide European living standard in area for its residents. Buy plots in Euro City for residential purpose and/or for secure and profit earning investment. Plots are available in 5 and 10 Marlas and 1 and 2 Kanals. Booking is available from just 10% and pay remaining amount in 4 year. 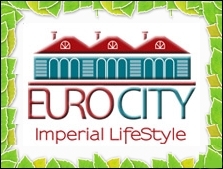 Euro City is a project of EuroBiz Corporation and GBA. GBA has many successful projects on its board; ATV - Pakistan’s biggest private TV channel, GloBiz Avenue Gawadar – Largest residential scheme in Gawadar, Purederm Distributor, Askari Crushing Plant, GloBiz Plastic South Africa, Fatima Plastic Namibia and GloBiz Beach Resorts Gawadar etc. 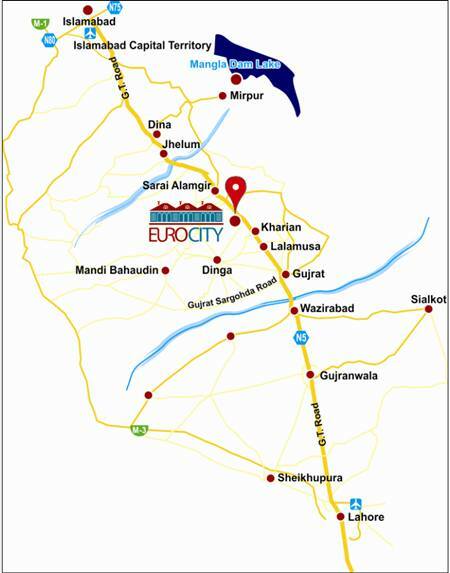 Euro City is located on GT Road, between Kharian and Sarai Alamgir, in district Gujrat. You can buy plots and then construct house at your own. You can buy constructed house. You can hire construction services of Euro City to build a house. Price can be paid through cash payment and on easy installment options with ease of customer. yaaar app kon se khwaabo ki baaat ker rahe ho. i think there is not goood management. Development speead and quality is not so goood. from two month i am seeing the gate but its building up as aunt speed.